Listen to Laura Marling's Short Movie streaming on WFUV and NPR Music before the album's release on March 24 on Ribbon Music. 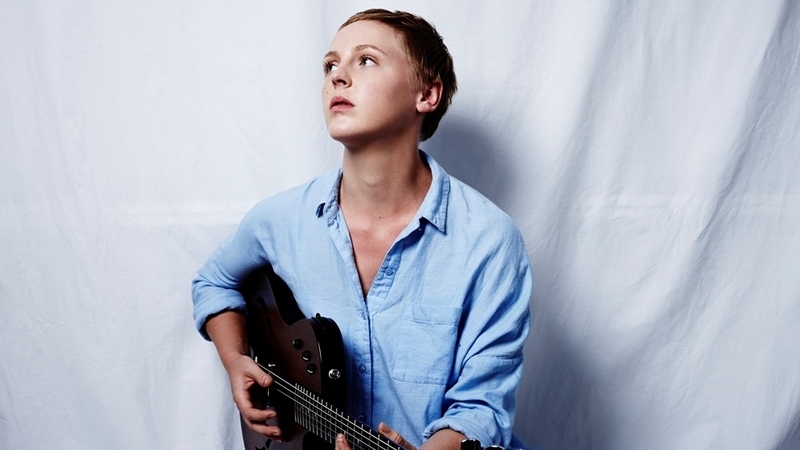 It's hard to believe Laura Marling is only 25 — not just because Short Movie is her fifth album, and not just because she's been singing with wise, almost impatiently weary authority since she was 16. What's especially striking is the way she's allowed her recordings and persona to evolve through so many decisively rendered, fully formed phases. Marling found her voice unusually early in life, but she's also never stopped refining it or discovering new ways to bare its teeth. In 2013, that process resulted in Once I Was An Eagle, an ambitious 63-minute breakup album whose intricate acoustic arrangements sounded as stormy as the work of bands 20 times as loud. It was a virtually impossible act to follow, in terms of quality and scope — she reportedly scrapped one attempt prior to this one — and Marling ultimately tackles the job by initiating another left turn. Short Movie shakes up her rumbling acoustic arrangements with an influx of electric sounds, in the process giving her a greater arsenal with which to brood, search, seethe and menace. Throughout these 13 songs, Marling metes out actual aggression only sparingly, even when her words are barbed and dipped in poison. But there's no mistaking the intensity of songs like the unplugged "Strange," in which she presents two sides of an adulterous relationship while conveying knowing mockery, indignant pride, a little sympathy and a lot of hard ache.